This tree is native to stream banks in the eastern deciduous forest and is usually found growing in the wild with multiple stems, however, single stem specimens are less susceptible to breakage when mature. Bark is cream-colored when young, aging to a scaly salmon color, which is quite pleasing. Often planted without enough consideration for its rapid growth and potential large size, often reaching 50’ in height with a 40’ spread. Fall color is a respectable yellow. 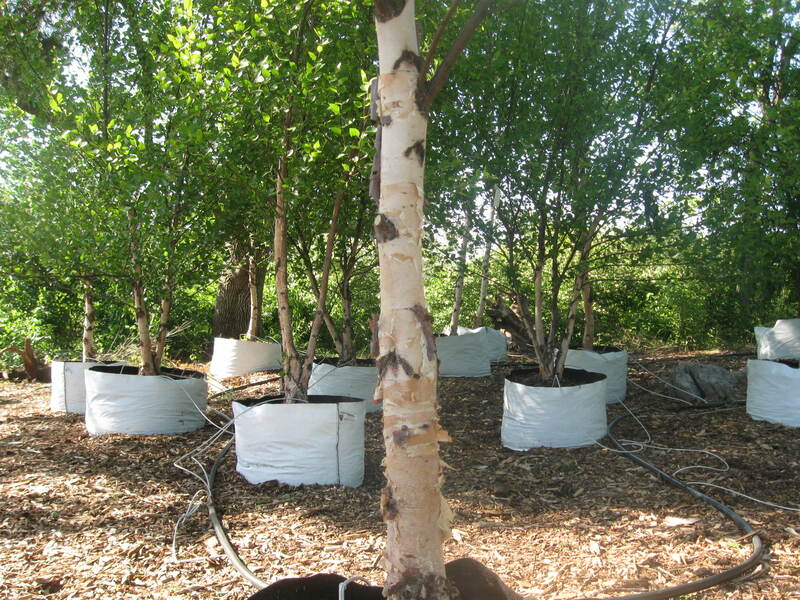 Resistant to Bronze Birch Borer and Birch Leaf Miner. May become chlorotic on high Ph soils. 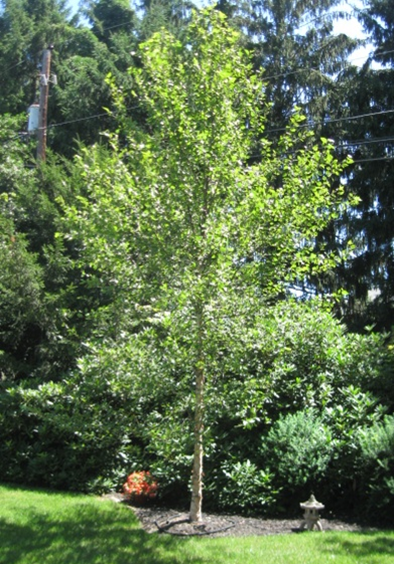 One of my favorite companion plants for this tree is the Sweetbay, especially the 'Moonglow' cultivar. There's something about the glossy, broad-leaf, semi-evergreen leaves that enhance the year-around appeal of the bark. Plant shrubs with red and/or orange fall color beneath the tree to accent the bark and yellow fall color. For a backdrop, use dark green conifers such as Oriental Spruce and Nordmann Fir.